Why some individuals seek social engagement and friendship while others shy away may well be dependent on the expression and sequence of two genes in their bodies. This novel study of gene expression (i.e. how much of a particular gene is produced in the body) supports the increasing importance of the oxytocin network and its impact on shaping social and communication skills that are important for building friendships. The findings were published in the scientific journal Psychoneuroendocrinology. The study was conducted by Professor Richard Ebstein and recent NUS PhD graduate, Dr Anne Chong, from the Department of Psychology at NUS Faculty of Arts and Social Sciences, along with Professor Chew Soo Hong from the Faculty's Department of Economics and Professor Lai Poh San from the Department of Paediatrics at NUS Yong Loo Lin School of Medicine. The team studied over 1,300 healthy young Chinese adults in Singapore in a non-clinical setting. They investigated the correlation between the expression of the CD38 gene and CD157 gene sequence, both of which have been implicated in autism studies, and an individual's social skills as captured by three different questionnaires. These questionnaires evaluated the participants' overall ability to engage in social relationships; their value on the importance of and interest in friendships as well as the number of close friends/confidants they have. 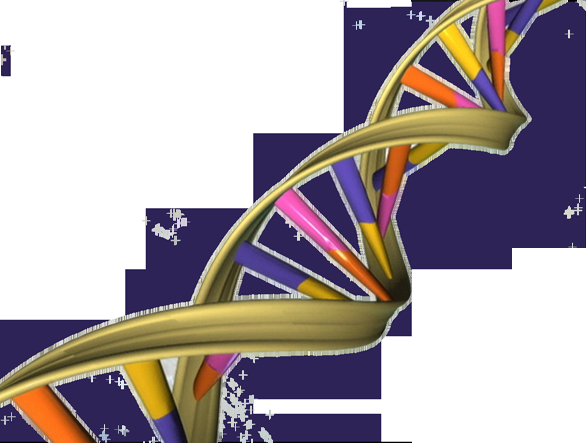 "We believe that studying the expression of genes captures more information than simple structural studies of DNA sequence since it is the expression of genes that ultimately determine how a gene impacts our traits. Oxytocin plays an important role in these behaviours so it made good sense to our team to study the oxytocin network in relation to social skills important for friendships," said Prof Ebstein. The results from the study showed that participants with higher expression of CD38 have more close friends, and this association was observed more prevalently among the male participants. "Male participants with the higher gene expressions displayed greater sociality such as preferring activities involving other people over being alone, better communication and empathy-related skills compared to the other participants. Meanwhile, participants with lower CD38 expression reported less social skills such as difficulty in "reading between the lines" or engaging less in social chitchat, and tend to have fewer friends," said Dr Chong who is the first author of the study and worked under the supervision of Prof Ebstein. Interestingly, the researchers found that a variation in the CD157 gene sequence that was more common in autism cases in a Japanese study, was also associated with the participants' innate interest in socialising and building relationships. The evidence suggests that oxytocin, and the CD38 and CD157 genes that govern its release, contribute to individual differences in social skills from one extreme of intense social involvement (i.e. many good friendships and good relationships with peers) to the other extreme of avoiding social contacts with other people that is one of the characteristics of autism. There is no cause for worry however, as the researchers note that majority of people are in between the two extremes. The researchers found that higher expression of the CD38 gene and differences in the CD157 gene sequence account for 14 per cent of the variance in social skills in the general population – a remarkable finding, especially since typically less than two per cent of findings in behavioural genetic association studies rely on genetic variations alone. "Moreover, while expressed genes can influence behaviours, our own experiences can influence the expression of genes in return. So, whether the genes are expressed to impact our behaviours or not, depend a lot on our social environments. For most people, being in healthy social environments such as having loving and supportive families, friends and colleagues would most likely lessen the effects from disadvantageous genes," said Dr Chong. The findings from the study help deepen the understanding of the relationship between human sociability and oxytocin. By releasing the social hormone, the CD38 and CD157 genes not only regulate social life at a cellular level but also contribute to the development of human social skills important in establishing social bonds and friendship. "In our study, we see that an individual's genetic makeup could only go so far as predicting one's social predisposition but does not necessarily trigger the trait since, in the end, it is the expression of gene that determines so. This knowledge would be helpful in coming up with future intervention therapies or targeted treatments to achieve desirable outcomes for individuals with special needs," said Prof Ebstein. For instance, while there is already considerable research interest in using oxytocin therapy to improve the social skills of individuals with autism, the results so far have been mixed. The findings in this study point to an alternative research direction towards treatments based on new drugs that may mimic or enhance the functions of the CD38 and CD157 genes. The researchers noted however that this line of research has yet to be explored. If proven viable, future therapies may help those clinically determined to have extreme difficulty maintaining social and working relationships with others so that they too could live a better quality of life. Co-led by Prof Ebstein and Prof Chew, the Behavioural and Biological Economics and the Social Sciences (B2ESS) Group at the NUS Faculty of Arts and Social Sciences has been investigating the role of genes and hormones on human behaviours, decision making, and a variety of human attitudes including empathy, impulsivity, political attitudes, religiosity and risk attitudes. The group is currently embarking on several behavioural economics and molecular genetics studies to investigate the impact of oxytocin on the human traits of creativity and openness to exposure, among others.